Exciting changes are taking place at the sister congregations of Tabernacle and Chatsworth United Methodist Churches! Beginning on Dec. 3, Tabernacle UMC will have one service beginning at 9 a.m. This new service will feature the best of contemporary worship and classic traditional hymns. Children’s message and activities will be available to help engage the minds of young worshipers. 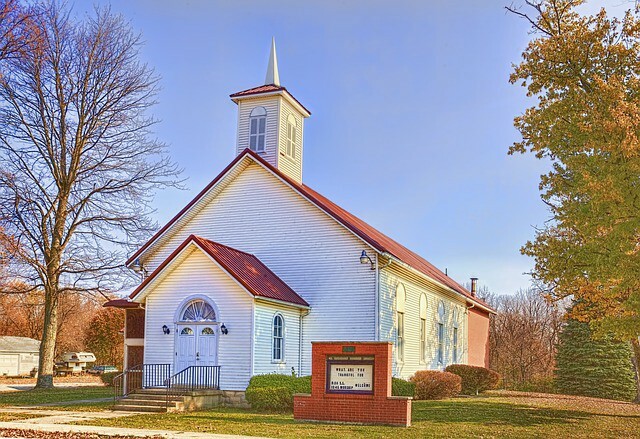 Fellowship and Sunday school hour will take place following worship at 10 a.m. Chatsworth UMC worship will begin with a hymn sing at 10:30 a.m. and will also contain a variety of music, with children’s activities available. Both services will be led by Pastor Kyle Cuperwich. This new schedule will be kicked off with the Advent worship series The Redemption of Scrooge. Based on Charles Dickens’s A Christmas Carol, this series will explore the world of the novel with an eye to Christian faith. We will meet the ghosts of Christmas past, present, and yet to come and learn about living with and for others in a world blessed by Jesus. Tabernacle UMC is located at 166 Carranza Road, Tabernacle, and Chatsworth UMC is located at the corner of Main and 2nd St., Chatsworth (Woodlands Twp.). For more information, call the church office at (609) 268–0200 or email office@tabernacleumc.com.